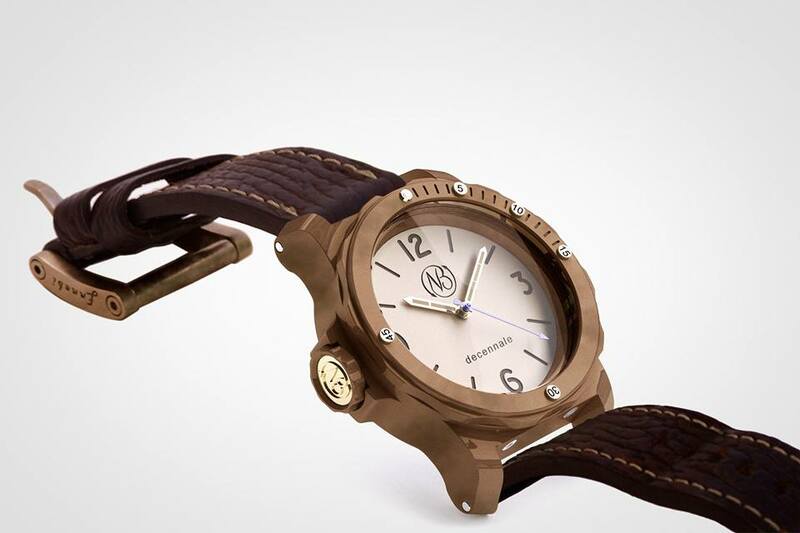 The watch Mictofo Bronzo "Decennale" comes with 2 straps, a new handle for tool tips and an exclusive letter opener. The letter opener, engraved with the same serial number of the watch, has bronze cheecks with bas-relief image of Ponte Vecchio in Florence, which is a symbol of the city and home to jewelers and craftsmen. The photos show the wax models, not yet completed, of the cheecks.